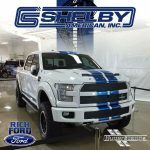 Just yesterday, the Facebook page of one HyperStangs.com by Rich Ford let fly a very tantalizing image: one of a forthcoming Ford Shelby F-150 supertruck soon to bow at next month’s SEMA show in Las Vegas next month. According to Russian website Pickup Info, Shelby American will be using the 5.0-liter Coyote V8-equipped version of Ford’s latest full-size light duty pickup as a base, adding a Whipple supercharger to increase output from the stock 385 horsepower to around 700. 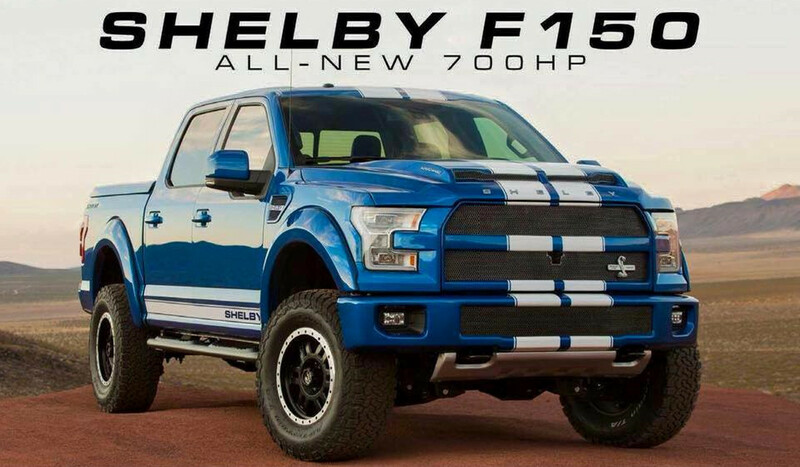 Pricing is not yet known, nor has a full list of performance-enhancing components been shared, but from the image, we can see that the 2016 Shelby F-150 has a new grille design with a single horizontal bar (as opposed to the three bars on the factory Ford F-150). An additional lower grille likely provides cool, flowing air for the intercooler, and a broad hood bump sports a muscular air intake vent. 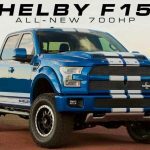 Also visible in the shot is a taller ride height on the 2016 Shelby F-150, different wheels fitted with offroading rubber, and of course, plenty of “Shelby” badging throughout. For comparison’s sake, notes Pickup Info, the similarly-enhanced HPE600 “VelociRaptor” from Hennessey comes in at around $73,500. 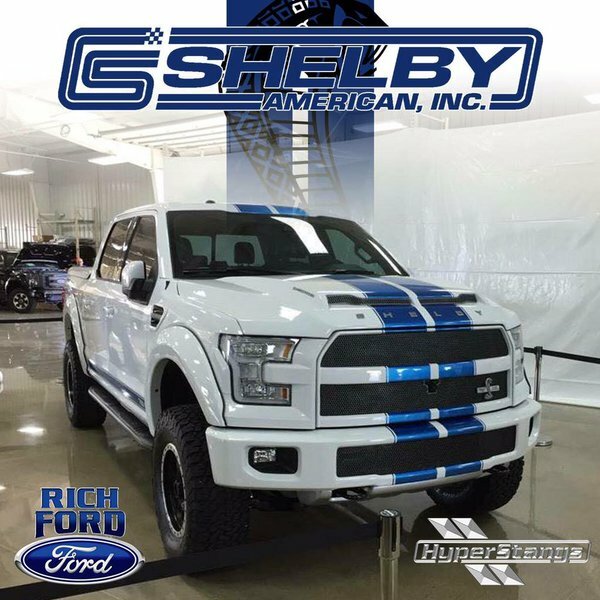 This Ford Shelby F-150 is likely to face higher demand and more expensive costs, however, likely pushing the price tag up to $80,000 or beyond.